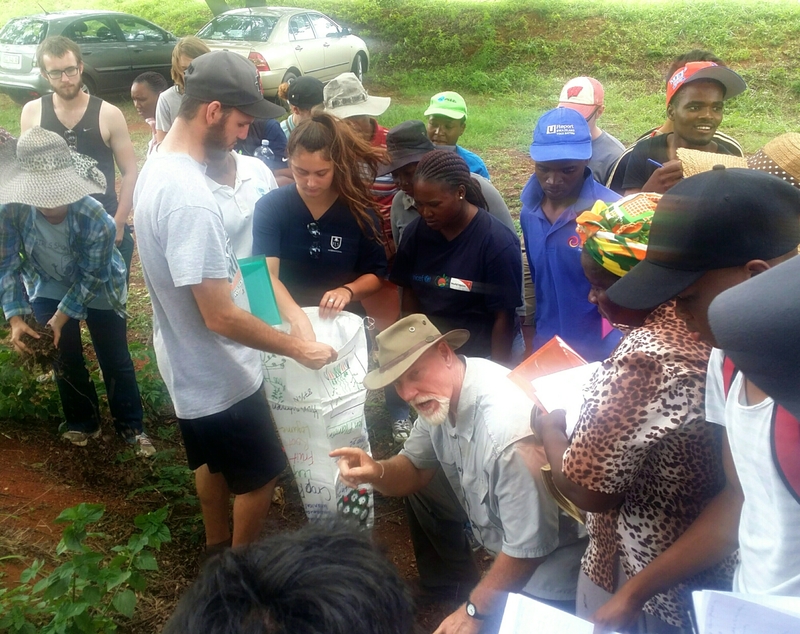 Last week, Peace Corps Swaziland hosted Peter Jensen, a permagardening specialist based out of Peace Corps Ethiopia, to facilitate two workshops on his specialty. Volunteers were invited to participate in the workshop with a counterpart (community-based colleague), with the expectation that the volunteer and counterpart would take what they learned to train others in the local community. For those wondering what exactly permagardening is, allow me to share my understanding. Permagardening is a permanent garden that focuses on strict natural water management, double digging, and using locally accessible materials to keep the garden and soil healthy and productive. I attended one of the workshops with a counselor from my community. She’s an agriculture friendly person who grows various things on her homestead. In contrast, the only plant I’ve managed to grow with any success is ivy, which is extremely difficult to kill. Peter presented permagardens in a way that was accessible and interesting to novices, like myself, and experienced folk, like my counterpart. He made me believe that even I can build a fruitful garden using the permagardening techniques and principles. The workshop inspired a conversation between me and my counterpart about how to take these techniques back to the community. Currently, we are planning on building three demonstration gardens around the community. When I returned to my home, I talked with my host mom about the possibility of me building a garden. She excitedly pointed me to a fenced area on the homestead and told me that I could use that space. Now, I have the space, some tools, and the training to practice before co-facilitating a community training. The only thing left to do is the work of actually building the garden. Wish me luck!